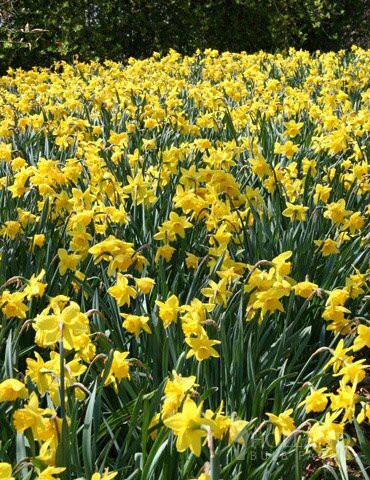 A complete flower garden, 100 perfectly matched Yellow Dutchmaster Daffodil bulbs with easy to follow directions for planting, bloom times and plant height. Planting: Plant in the fall as soon as your bulbs arrive in any well-drained garden soil, located in a sunny spot or semi-shade. Plant each bulb in a hole, approximately 2 to 3 times the bulb diameter in depth and cover with soil. Water thoroughly. It is preferable to plant in groups and allow one bulb diameter as the planting distance between the bulbs. Protect against extreme cold weather by mulching in the late fall.